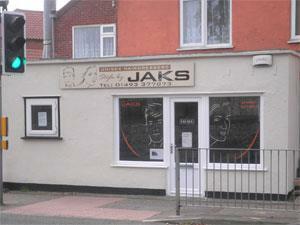 Jaks in the village of Caister-on-Sea near Great Yarmouth is a small and welcoming unisex salon offering cuts & colours with a friendly service. On arrival in Great Yarmouth follow signs for the A149 towards Caister-on-Sea, proceeding past Yarmouth Stadium and over the mini roundabout towards the village centre. Jaks is located just beyond the next mini roundabout at Beach Road, on the left hand side.